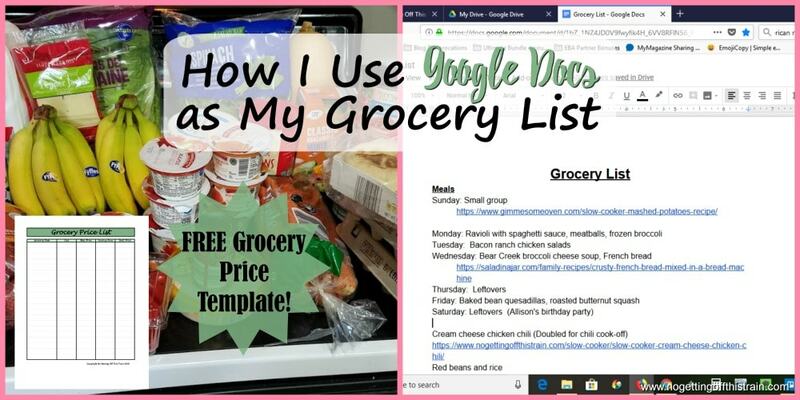 There are so many ways you can create a grocery list. Some use the trusted pen and paper, others use an app. But there’s one tool John and I have been using for years, and we haven’t been able to find anything else that works better for us. And that’s Google Docs. 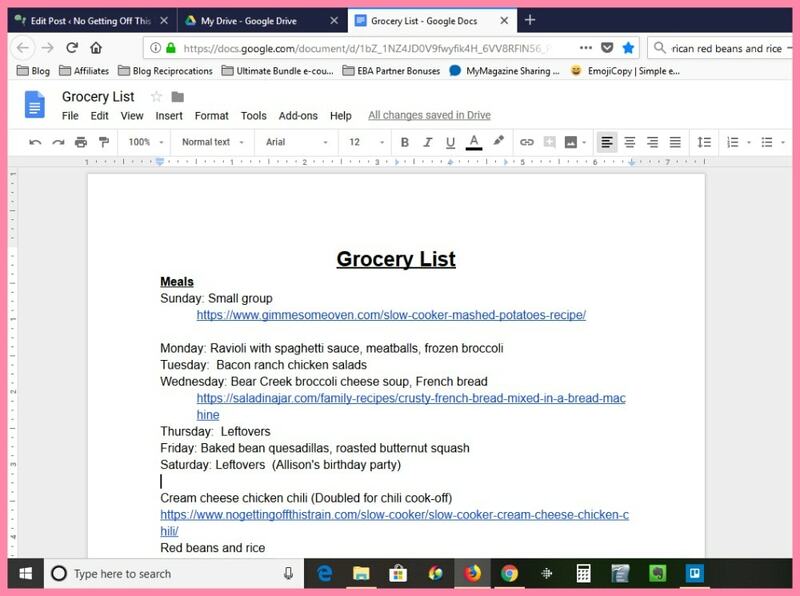 Yep, a simple document that we use every week that helps us keep track of our menu and grocery list, and allows us to make changes whenever we need to. 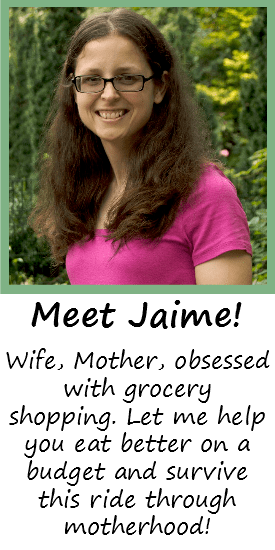 And today I want to show you how we set it up and how we use it in our weekly shopping trips. 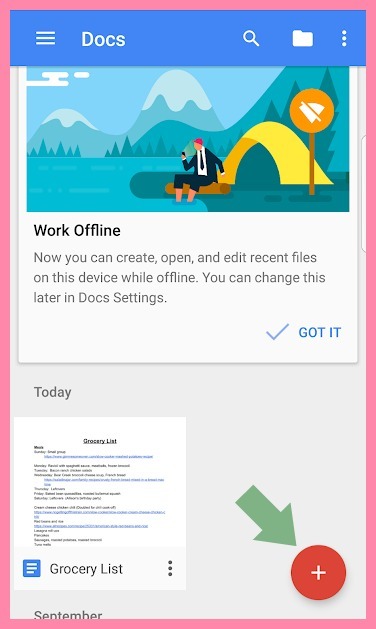 If you have an Android phone, you should already have Google Docs installed. If not, you can download Google Docs here. Open the app and create a new Document, and name it “Grocery List”. Also, you can use the desktop version of Google Docs. Any screenshots you see below are from the desktop version. At the top, we have our weekly menu. I run our week Sunday through Saturday because I do my grocery shopping on Fridays/Saturdays. 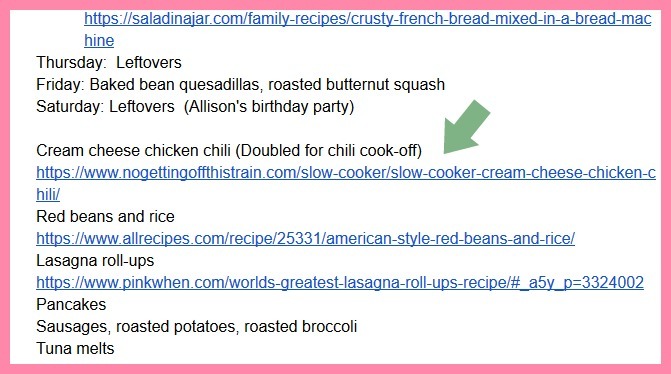 If any of our dinners have a recipe, I just copy and paste the link right next to the recipe name. That really helps when I need the recipe quick! Sometimes I’ll just print the recipe, but it’s easier to just have my phone with me while cooking for easy access. Underneath the menu is where I’ll start creating the menu for next week. That’s where those meals will stay until the end of the week, when I’ll decide the days I’ll cook them and plug them in to each day. Also under the dinners is our breakfast ideas. 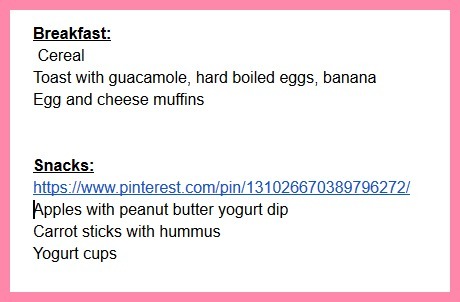 At any given time, we’ll have like 3 breakfast ideas to choose from as we all like something different. But it’s all easy stuff like cereal, scrambled eggs, or some sort of casserole/oven baked breakfast I made earlier in the week. John and I have leftovers for lunch, but I give Allison a separate lunch because she never eats the dinner I make anyway. Her lunches usually consist of snack-like items, like crackers, cheese, fruit, and meat slices. Underneath all of that is our actual grocery list! I have a list of stores that we frequent, and whatever we need to buy I’ll put under the appropriate store. Most weeks, I’ll go to 2-3 stores for shopping (Because I have the time/energy) so I can grab the best deals from each store. Most of my necessities come from Aldi, while the random odds-and-ends will be from Meijer and Kroger. 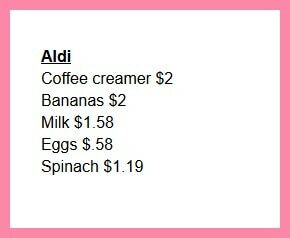 I’ll also put the price right next to each item so I have an idea of how much I’ll be spending. 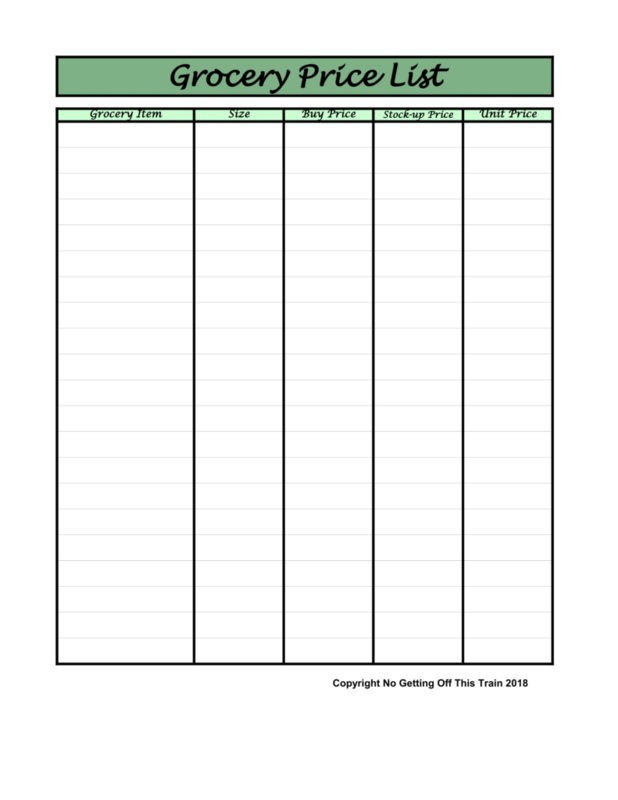 I’ve got most prices memorized, but I know some of you would rather have a list to help you keep track. 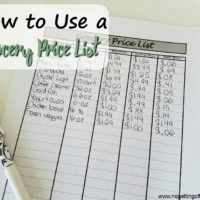 That’s why I created a Grocery Price List template for you! Here’s the main reason we use Google Docs: John and I can update the app at any time, at any place. If he’s at work and remembers we need more snack bars, he can just open the app and put it on the list. When I’m at the store, I have the list right on my phone and can delete each item as I pick it up. No paper or pen to mess with. Just an easy digital list. 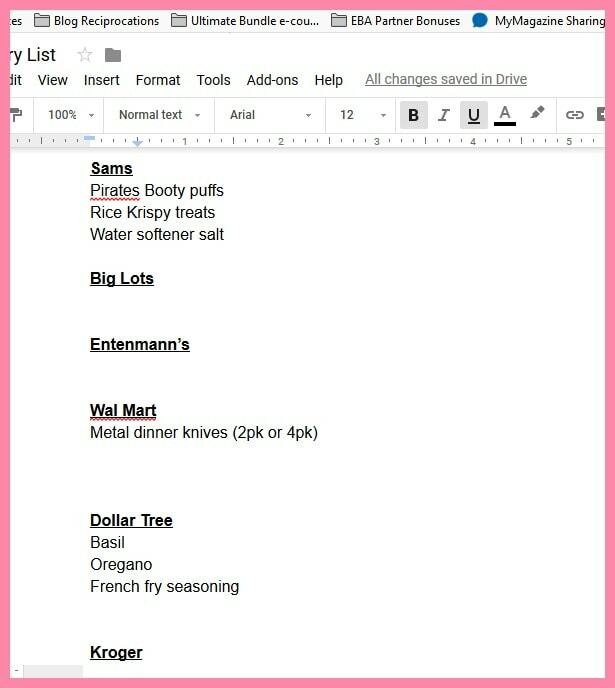 I’ve tried other methods of making grocery lists, but Google Docs fits our needs perfectly. It’s digital, it’s free, and it’s easy to use! How do you make your grocery list? Leave a comment and let me know! I use pencil and paper for my grocery list. I split it into different stores (sometimes up to 4on shopping day). I make my weekly menu on an index card with lunch and dinners every day and what we have available for breakfast at the bottom. I need to move into digital lol I should try google docs!